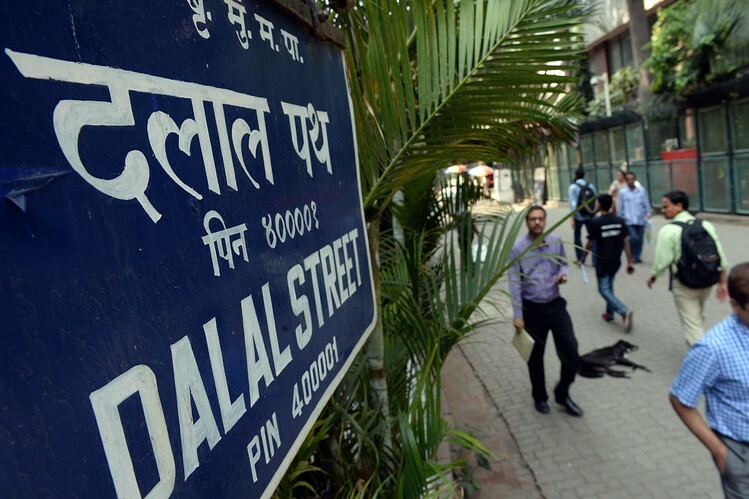 The one thing that comes to your mind when we say Dalal Street is Bombay Stock Exchange, so you may think that I am going to recommend some stock, wish I could! Again I put the same question to myself "What could I do differently?" in my presentations. But it all began with a disaster. In my final year of schooling, I participated in a debate. We had to talk about “Whether 10th std. should have broad exams (CBSE) or should it be made optional?” I favored broad exam but the content I prepared was awful and above all, when my turn came, I forget most of the points on an already awful content. That was my first experience on stage. Even my initial presentations in college didn’t go well, i.e. during SIFE regional completion. So I learnt from my mistakes, also somewhere deep down Steve Jobs’ keynote presentations and the advice that our staff advisor (SIFE) gave me, “keep texts in the presentation to the minimum” when I went to review our presentation for the SIFE regional competition, had an impact on me. Once I learned my lessons the hard way, from then on the question “What could I do differently?” really made my presentation set apart. So my presentation evolved from pictures and few texts, to lots of quotes, funny animations, jokes and videos. So this day, I was asked to do a presentation on my review of a book, so I chose "Steve Jobs: The Exclusive Biography by Walter Isaacson". Then came the presentation day, I was to present in front of the first years and my biggest challenge was not to bore them. So the only question in my mind was “What could I do differently?” My presentation begin with the “Think Different” video and the animation of Po from Kung Fu Panda (Po was the mascot! Yes, my presentation even had a mascot!) to Gangnam Style, a video of Bloomberg Game Changers introducing Steve Jobs, an intentional goof that made the audience laugh, then there was Macintosh ad and an iPod ad with Mr. Bean in it, lots of pictures and hardly any text. And at the end of my presentation I got applause from everyone and after the presentation someone told me that you are smarter than you look! :P Though my English is not that good, I compensate for it on the strength of the content and visuals i.e. presentation. So at the end of the day, being different made the difference and I consider it one of my best presentation till date. But I couldn’t have done it without learning from the mistakes I committed during my initial presentations. During my 2nd year, an investment bank came to recruit interns from our college. This could be the first time I would be attending an interview, so I was really excited. So I googled how a resume should be and accordingly prepared a two page resume. When the d-day came, I got through the written exam and HR interview. Next day we had two technical interviews, so I woke up very early to prepare for the technical interviews. I got through the first round of technical interview and also went through the final interview, but I didn’t get selected. I made few mistakes and I had to learn from it. I knew my weaknesses; my marks weren’t as good as others and neither was my English. Again the same company came in my final year, this time for the full-time job. So the same question popped up, “What could I do differently?” My answer for that was to put all my creativity into the resume. So I came up with a 6 pager resume and apart from this, I also learnt and gained so much experience in the previous year since I got rejected. Again history repeating itself, I got through the written exam and HR interview, next day we had two technical interviews. So I woke up very early and I started preparing for the technical interview, I got through the first one and also went through the final interview, but this time I got selected! But the same magic didn’t work with Google, I reached the final 3 but didn’t get selected. Even when I entered the corporate world, the only think that was going on in my mind was, “What could I do differently?” that too when it was just my first job. In fact, I did few things differently. So never get satisfied by the things around you, always try to challenge the status quo and think, what you would do differently? And who knows, you may stumble upon the next big thing. So what should be your question to yourself? given a simple task: in eighteen minutes, teams must build the tallest free-standing structure out of 20 sticks of spaghetti, one yard of tape, one yard of string, and one marshmallow. The marshmallow needs to be on top. The teams were shuffled so that we don’t have a team with all members from the same college. When our time started, we jockeyed for power and we tried to come out with a grand plan of how to build the tallest structure. Then we tried to build the structure which kept on falling and in the nick of time somehow we were able to erect a standing structure. Finally, oof! Though we had the tallest standing structure, I realized that at the core our approach was wrong when we were shown this video. did something about it.” Though I spoke more than this, it’s not relevant here. Even today I’ll say the same thing, “I know how dumb I am and I’m doing something about it.” That’s one of the things that helped me stand apart from the crowd even though I wasn't that talented.